The descendants of the last Maharaja of the Sikh Empire, who was forced to hand over the Koh-i-Noor diamond to Queen Victoria, will on Monday launch a court action for his body and possessions to be returned to India. The petition from a family claiming to be the descendants of Duleep Singh, who was exiled to Britain, aims to force the Indian government to intensify its efforts to reclaim the Koh-i-Noor. The jewel is currently mounted in the crown of the Queen Consort, last worn by the late Queen Mother. 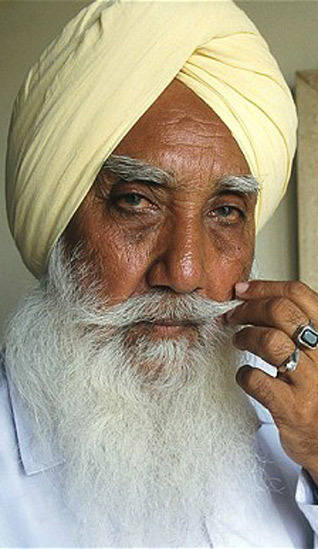 The family is also seeking the return of Maharaja Ranjit Singh's golden throne and for both to be kept at the Golden Temple, the centre of the Sikh faith, in Amrtisar, India. Their case reopens a controversial chapter in British colonial history that still arouses strong passions in India, particularly in Punjab, where Sikhs regard the exile of Duleep Singh and his "gift" of the Koh-i-Noor diamond to Queen Victoria in 1850 as a national humiliation. The diamond had been acquired by his father, Maharaja Ranjit Singh, from the deposed Afghan ruler Shuja Shah Durrani as his price to support his return to power in Kabul. The legal action seeks to establish the claim of Jaswinder Singh Sandhanwalia, a 50 year old company administrator based in Amsterdam, and his relatives, to be the rightful descendants and heirs of Maharaja Duleep Singh. According to the family, their great-grandfather Thakur Singh Sandhanwalia was Duleep Singh's blood cousin and his adoptive son. Their claim is based on a letter discovered in the India Office archives by the historical author Christy Campbell, a former Sunday Telegraph journalist, during the research for his 2002 book The Maharaja's Box. The letter, dated January 7 1889, was written to Duleep Singh by three members of the Sandhanwalia family to explain their plans to ignite a rebellion against British rule and for the Maharaja to return to India with 20,000 foreign fighters to lead the charge.The Indians had become so demoralised by the defeat of the 1857 Sepoy Mutiny that they would not rise up again without the aid of a foreign army, they said. The claimants will rely on a paragraph in the letter in which the authors express their gratitude to the Maharaja for adopting them as his own heirs. "It is impossible for us to express the real sense of indebtedness for the honour of making us son as Y.M (the Maharaja) has been graciously pleased to confer to make us. It is the highest of all honours in the world," they wrote. Following his exile at 15, Duleep Singh had been raised by guardians in Britain as an English and Scottish gentleman, encouraged to convert to Christianity, and to forget his Indian origins. He lived in Castle Menzies in Perthshire where his dandyish taste in clothes and love of shooting won him the nickname the 'Black Prince of Perthshire'. He was set up with a shooting estate at Elvedon, Suffolk and later sought in vain to become a Tory MP. But according to Campbell, he rebelled in 1887 and made contact with the Sandhanwalias. 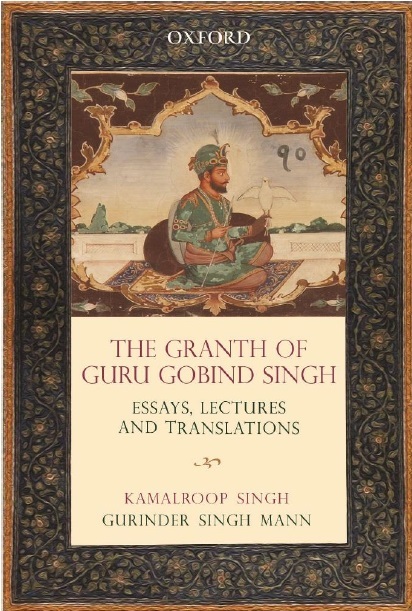 "He rebelled against his Empress and entered into a bizarre conspiracy with a right-wing Moscow newspaper magnate, Irish nationalists and Sikh patriots (the Sandhanwalias) to reclaim his birthright. As well as the empire of his father, the great Ranjit Singh, which stretched from the Indian Ocean to the Himalayas, it included the Koh-I-Noor diamond. Duleep claimed he'd been tricked out of it by Queen Victoria. He referred to her as 'Mrs Fagin," he said. The Sandhanwalia's legal battle for the diamond and their last emperor's body to be returned will begin in Chandigarh's civil court on Monday. "The great-grandfather of Duleep Singh and the Great-grandfather of the Thakur were from the same family, but he [Duleep Singh] also adopted them as his sons. Our property was confiscated by British rule. This letter establishes us as the rightful heirs of Duleep Singh and we want to get back his remains and his other belongings to the Golden Temple," Jaswinder Singh Sandhanwalia told The Daily Telegraph on Sunday.